If you are considering relocating the Kansas City Metro area you should carefully consider the real estate options in the prestigious city of Lee’s Summit, Missouri. Lee’s Summit is a truly remarkable suburb of Kansas City and residents of Lee’s Summit have an exceptional quality of life. This pedestrian friendly city has a charming hometown ambiance while being strategically located to easily enjoy all of the big city’s excellent shopping, dining, entertainment and recreation. 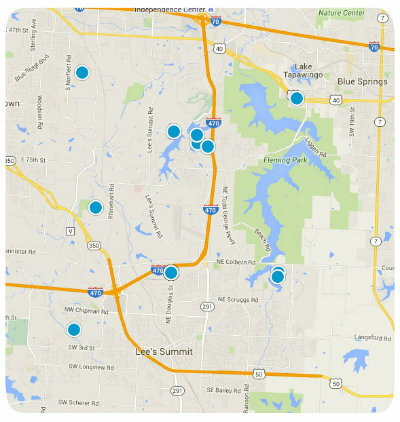 Real estate options in Lee’s Summit come in a broad range of homes of varying sizes, ages, and architectural styles in diverse neighborhoods. Highland Meadows is a noteworthy community in Lee’s Summit and is found off of Longview Road just west of Pryor Road. The family friendly community of Highland Meadows has a community swimming pool in addition to being within walking distance from Longview Lake and its great hiking, biking, fishing, camping, swimming and boating opportunities. Longview Lake is surrounded by over four acres of parkland and is home to the Fred Arbanas Golf Course, a marina, campground, swim beach and over ten miles of scenic nature trails. In addition to all of those great features, Highland Meadows’ residents can also easily enjoy all the area’s great shopping and dining. Highland Meadows is only minutes from Summit Woods Crossing which encompasses a Kohl’s, Target, Macy’s and Lowe’s, in addition to several other retailers and dining establishments. Homes for sale in Highland Meadows typically range from around $320,000 to $378,000, depending upon the property’s age, size, style, and location. If you would like to buy a home in Highland Meadows of Lee’s Summit, please do not hesitate to contact us today for more information.